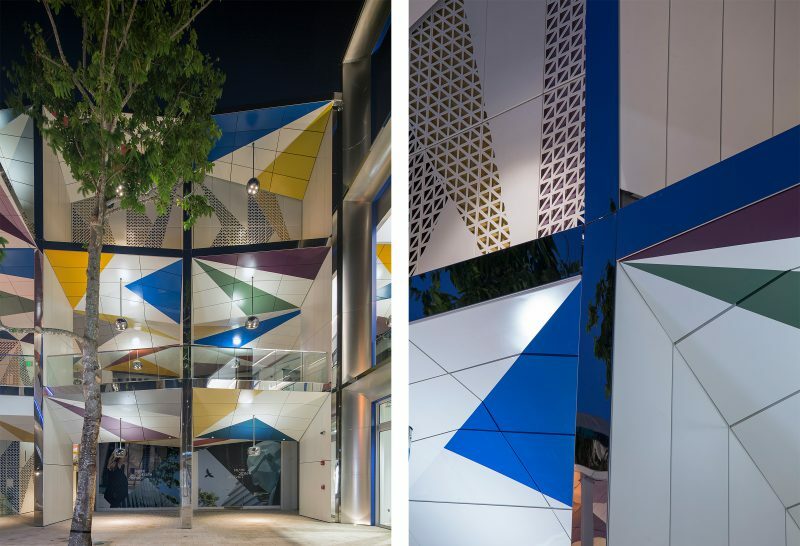 The Miami Design District is a new 18-block neighborhood with buildings designed by Daly Genik, Tolila+Gilliland, Johnston Marklee and MOS. 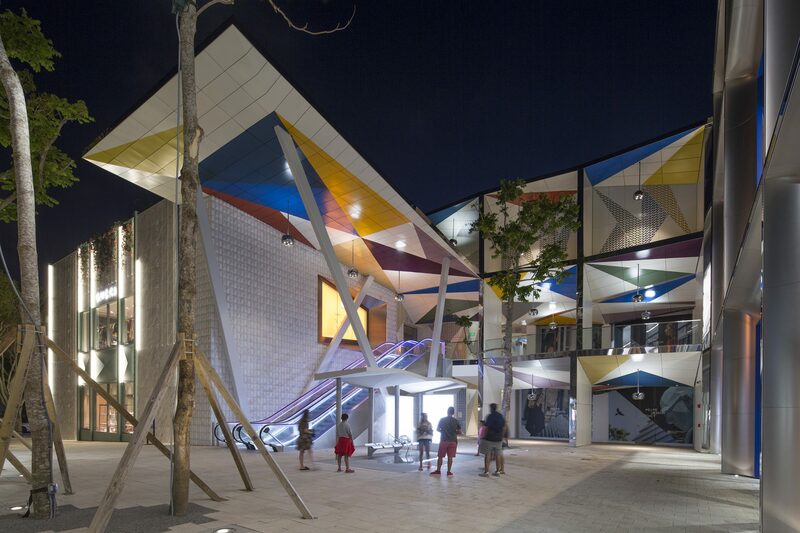 FreelandBuck’s project is located along the west face of Paradise Plaza, the northern anchor of the Design District. 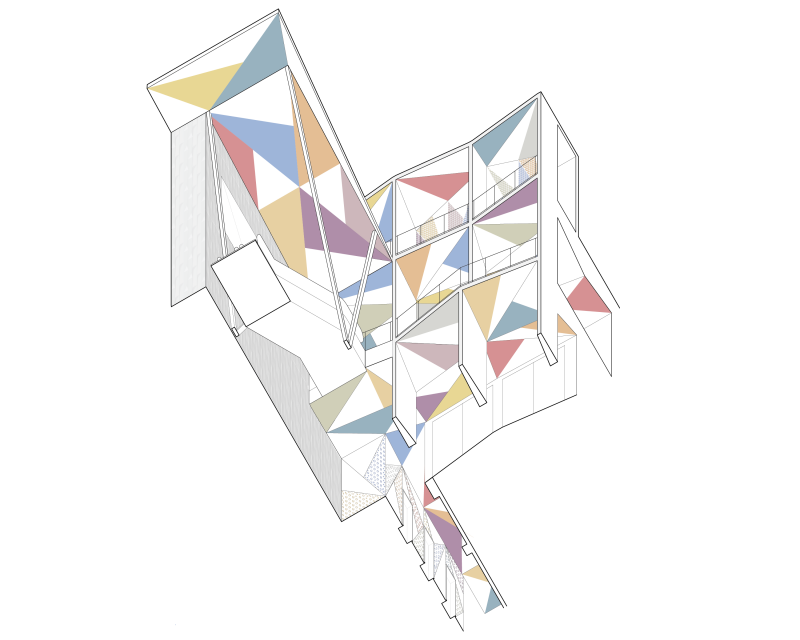 Two dining terraces facing a mid-block courtyard stitch together multiple building facades, canopies and circulation elements into a stack of 9 equal volumes. The depth of each frame is exaggerated by wedge-shaped columns and a deep, faceted ceiling that undulates to create a varied set of smaller spaces for dining. 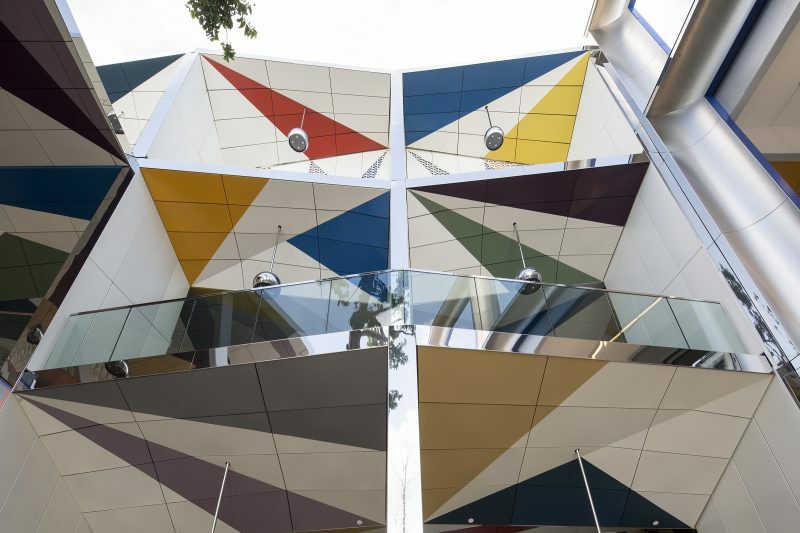 The play of triangular facets is amplified by a graphic division into colorfully contrasting planes, echoing 20th Century experiments with graphic and spatial depth by Yaacov Agam. Ceiling and wall surfaces within each frame are subdivided into a grid of 2’x4′ aluminum panels fabricated and installed by Zahner Metals. The elevator canopy extends out from one frame, perched on steel columns clad in stainless steel matching the fascia of each stacked box. The CNC-cut Carrara marble tiles of the adjacent Gucci store run vertically, matching the shape of the store window they frame. 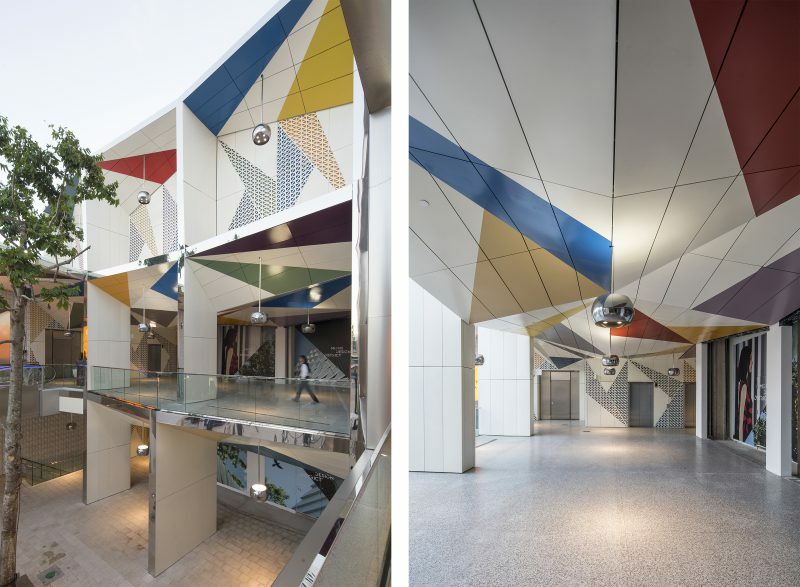 Mirrored stainless steel spherical light fixtures hang in each box creating intensified reflections of the colorful triangular array.